On the 11th September 2017, Air Logistics B.V.B.A. 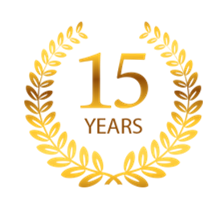 celebrates the significant milestone of delivering outstanding GSSA solutions across the Belgian market for 15 years. Air Logistics B.V.B.A. was founded in 2002, originally with 3 members of staff, moving a total of 800,000 kilos with its partner airlines in its first year. Today the Air Logistics team in Belgium consists of a total of 9 air freight professionals and has moved over 18 million kilos in its peak year.